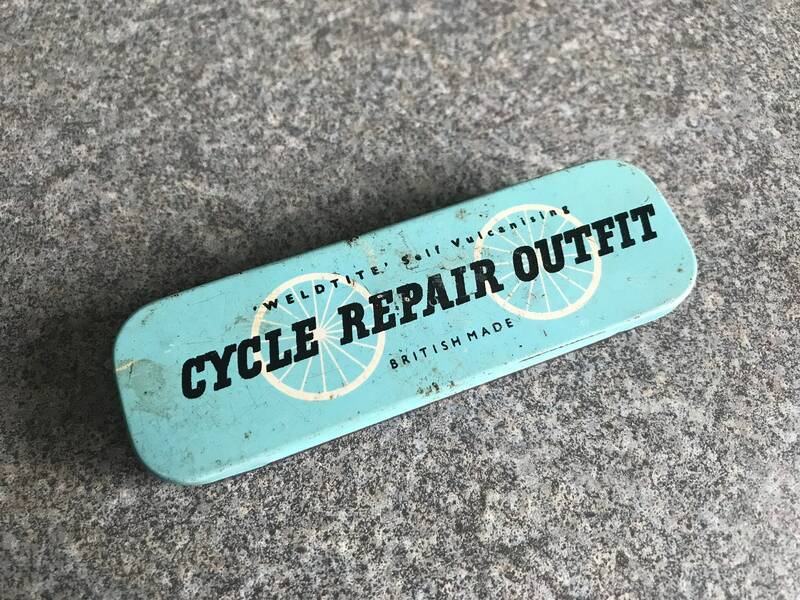 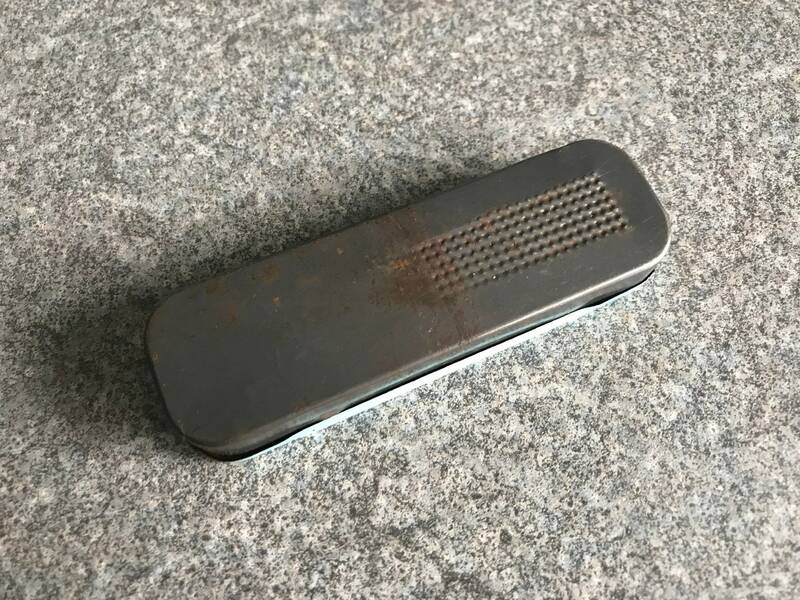 The puncture repair tins and Cufflinks are all listed as one off items as each tin is in a different condition and the actual tin is shown in the photos, so you can see the condition of them. 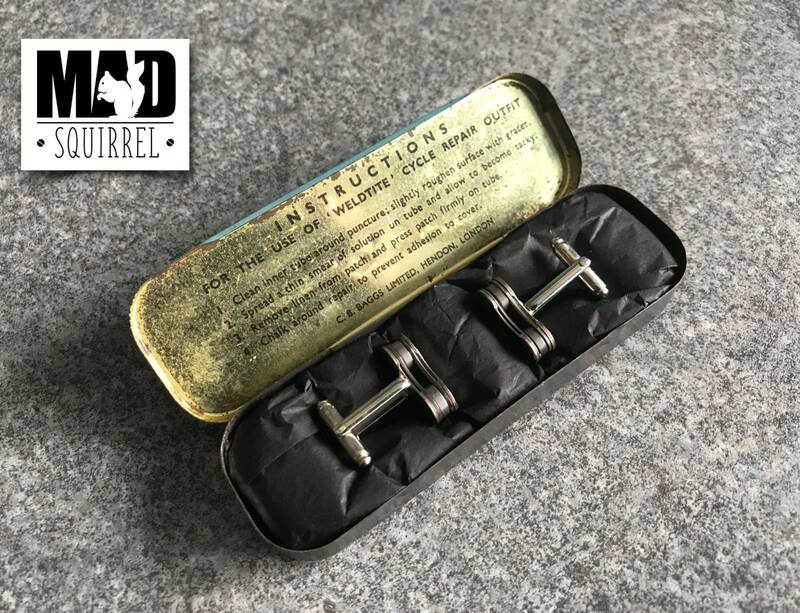 The tin comes with our very popular and great looking Shimano Cufflinks. 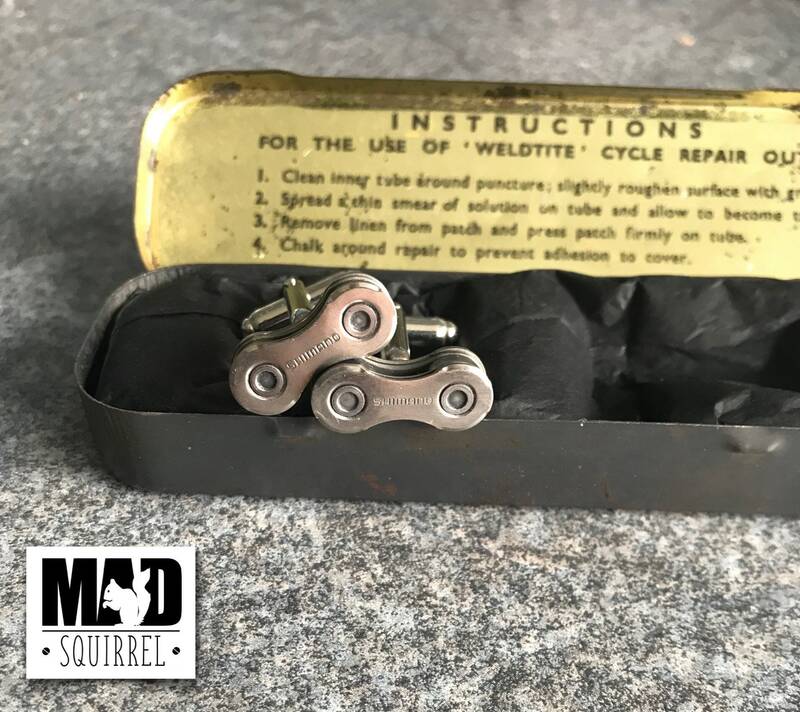 The Cufflinks shown here are very distinctive, the side plates have the well know Shimano on them.